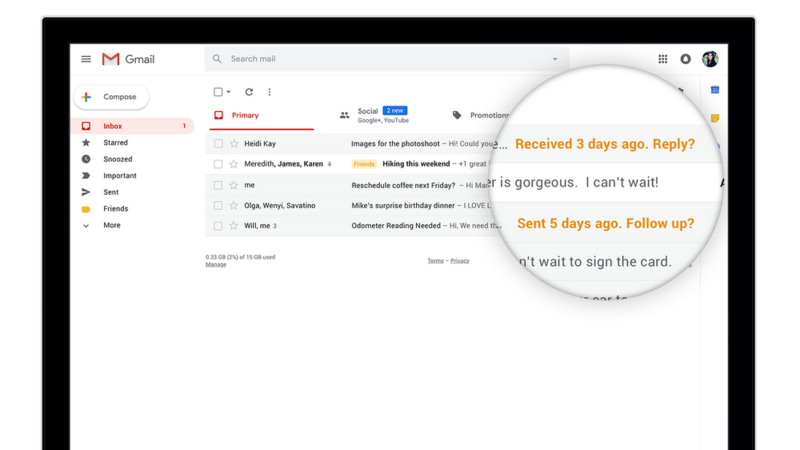 As you may know Google has announced major improvements to Gmail on the web. So let us dive right in. Click on attachments without opening them (this one really isn’t new) scroll through long conversations, click on the new SNOOZE button to put off emails that you just can’t get into right now. This feature seems great, I mean who doesn’t look at emails at 2 am? Try the new NUDGE that reminds you to respond to the email. How many times have you left an email unanswered? SMART Reply…well just read here. On mobile, you can now have high-priority notifications, or import messages to help you stay focus. 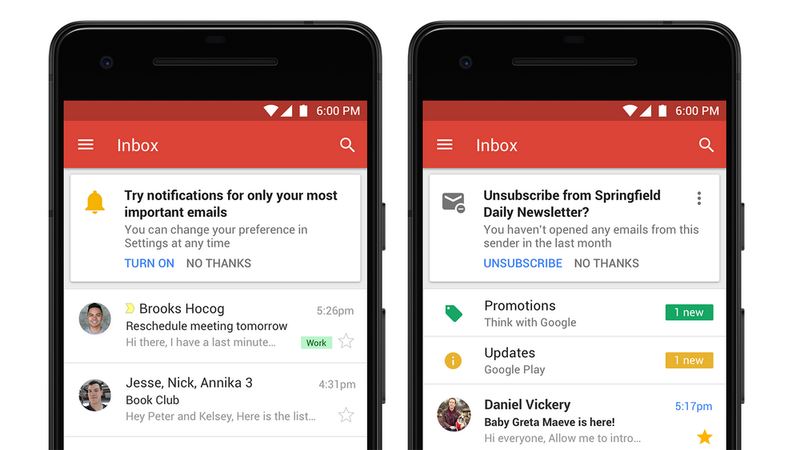 Gmail will also start suggesting when to unsubscribe from newsletters or offers you no longer read or care about. 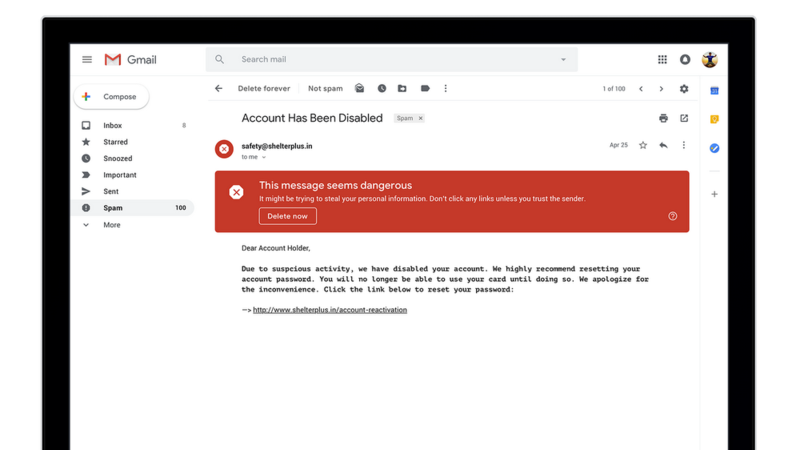 There are also new warnings in Gmail that alert you when potentially risk your email comes through. I mean a big red warning is a real good thing to see and stop you from downloading the attachments on it. Lets say you have to send something critical or confidential. Gmail now has the confidential mode. It enables you to remove the option to forward, copy, download or print function of an email. You can also set a message expire after a set of time. This is a awesome addition that we last saw with GAME. All of these are amazing updates to GMAIL. I can only imagine what comes out next?